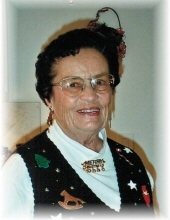 Carolyn M. Reese (Clark) passed away at Brookdale Assisted Living in Bowling Green, Ohio on Saturday, Oct 20, 2018. She was the oldest of three children born to Florence and Raymond Reese of Toledo, Ohio. She graduated from Devilbus High School, attended University of Toledo and graduated from the University of Michigan. She married William L. Clark, Jr. They moved to Toledo, OH after WWII to start their family. In 1953 they moved to Waterville, OH where she served as room mother and Cub Scout den mother for 13 years. She was a member of Profit and Pleasure, St Paul's Episcopal Church and Business and Professional Women where she served on the Governor's State wide Defensive Driving Committee. She was elected to two terms on Anthony Wayne School's Board of Education. She worked as Secretary/Treasurer for Clark Engineering. She participated in numerous failure investigations and supported American Concrete Institute to improve recommended practices. In 1988 she moved to Tierra Verde, FL where she was a member of the Pass-a-Grille Community Church, Tierra Verde Women's Club and Power Squadron. She served on the board for CASA and was an active member of SPYC's "Salty Sisters" before she returned to Ohio. Her life was full and she loved her family and friends. She enjoyed sewing, ceramics, collecting antique glass, boating and traveling. She is proceeded in death by her parents, former husband, brother Allen Reese and sister Virginia White. She is survived by her four sons William (Krysten), Raymond (Lorraine), Thomas (Katherine) and Stephen; two very close nephews and their families, nine grandchildren and twenty great grandchildren. She is greatly loved and leaves memories of happy times, laughter, celebrations and smiles. Services will be private for the family. Funeral arrangements have been entrusted to Dunn Funeral Home in Bowling Green. To send flowers or a remembrance gift to the family of Carolyn Reese, please visit our Tribute Store. "Email Address" would like to share the life celebration of Carolyn Reese. Click on the "link" to go to share a favorite memory or leave a condolence message for the family.